The Great Indoors is a competition where the best Interior Design concepts are exposed to the public. TGI takes place every two years and it's much more than prizes; it is a design fiesta where lectures and workshops are organized in an attempt to promote and highlight the importance of Interior Design. With 380 entries from more than 40 countries the Great Indoors Awards have managed to attract the crème de la crème of the Interior Design around the world. The 2009 edition of the TGI took place in Maastricht, Netherlands. This year's awards has been marked by the Global financial crisis and despite the fact that it is not possible to predict the side effects of the crisis in this area, it is quite evident that the Interior Design will be part of the domino effect. Due to this phenomenon the jury has decided to take under consideration the current circumstances at the time of the adjudication. In the Design World there is a always a constant dialogue between the space and the products, the architecture and the objects, a non stop evolution where everything changes and transforms in order to face the new challenges and adapt to new situations. As part of this theory the members of the jury decided to name this edition as Changing ideals; a title that reflects the influence between 'container and contained' where the needs and the ideals are redefined based on the new circumstances. 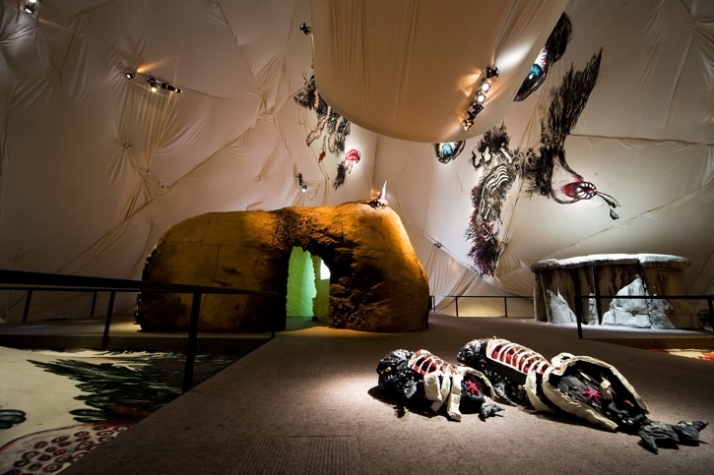 The Great Indoors is an initiative by FRAME Magazine, Marres Centre for Contemporary Culture and NaiM/Bureau Europa, and is financially supported by the City of Maastricht and the Province of Limburg. A young Swedish firm with various projects from simple design tasks to more complex assignments where architecture and design interact, a full range including both public and private environments. Their work reflects the current cultural and environmental conditions, an integrated approach that helps a profound understanding of the project and its potential. A process that “starts with strong concepts and ends with realized ideas”. 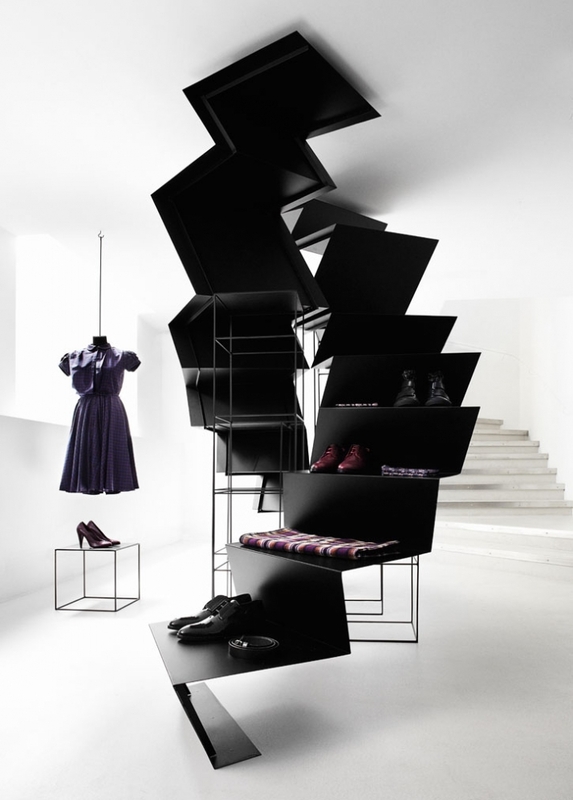 Mix all geometrical concepts and the outlet could be similar to the Prada Transformer pavilion, located in Seoul's 16th Century Gyeonghui Palace. A temporary structure by Office for Metropolitan Architecture where four basics geometric shapes are mixed: a circle, a cross, a hexagon and a rectangle. All wrapped in translucent membrane form a 20 metre high structure where the floors turn into walls and viceversa. A game where dimensions and space keep changing based on each event's needs. This is where Prada's fashion exhibition and show are hosted, a film festival takes place and last but not least an Art exhibition is held. A variety of projects that fit perfectly in a varied dimension space. Bureau Ira Koers and Studio Roelof Mulder have collaborated in order to create the Amsterdam's University Library. Their intention was to make a second home, a place with a domestic atmosphere where the students are the protagonists. In order to do so, kitchen tables where used for the students who want to work in groups as well as couches where anyone can read a book or a newspaper. 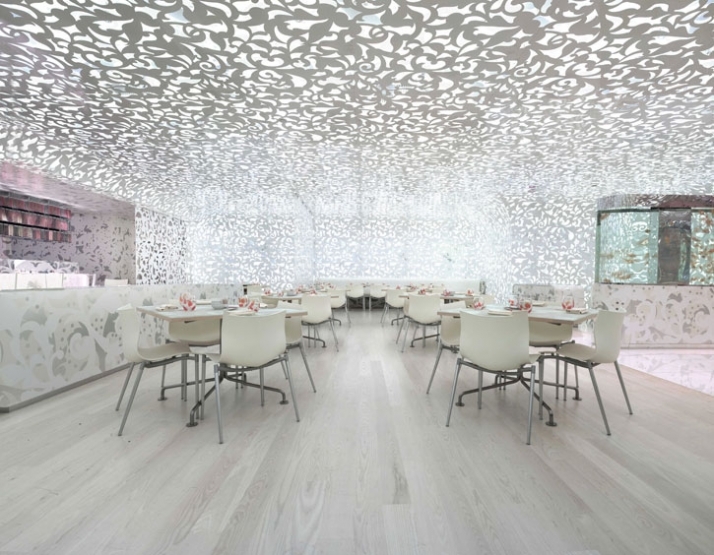 The canteen reminds of a forest as all columns have been dressed with low energy lights reminding illuminated trees. 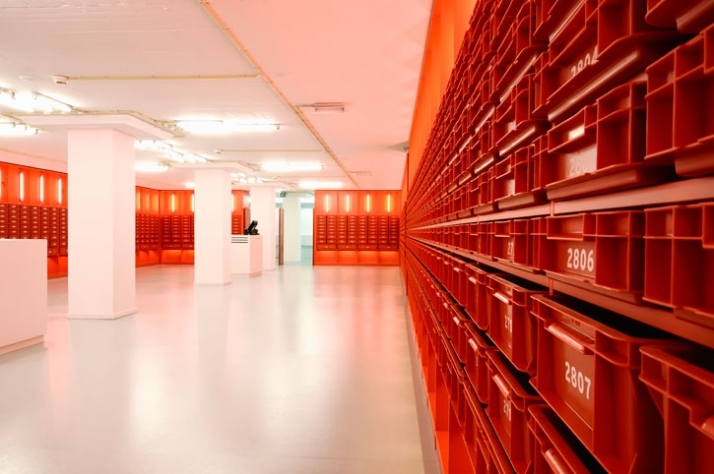 The highlight of the Library is the red room, a place full of 1105 red crates with books inside, a real knowledge thesaurus for any student. 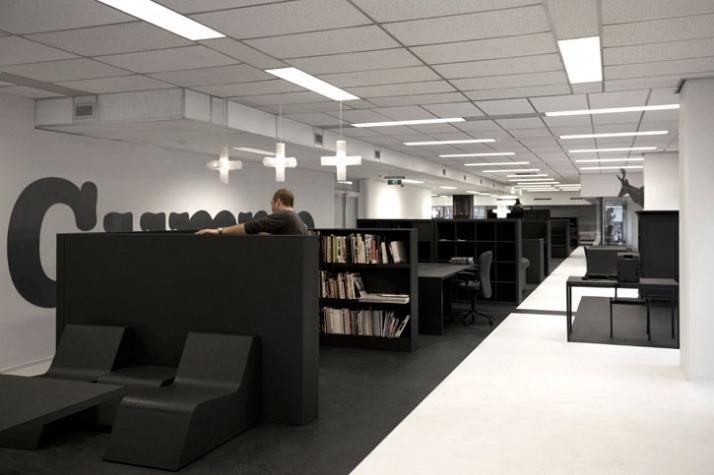 i29 Interior Architects apart from winning the TGI they also won a challenge by creating a simple and stylish office having just few resources at their disposition. As a low budget project, i29 used different techniques in order to accomplish it. Collecting second hand objects through Marktplaats and charity shops, spray painting the walls in grey or using anything that could be recycled were only some of the "techniques" they used in order to make this project feasible. A totally new space created out of reused objects, a real example of a successful concept with minimum resources but maximum inspiration. Design Spirits managed to win the first award in the Relax and Consume category by creating a restaurant in the well known Ceasar's Palace in Las Vegas. Light is dominating all over then place through a tailor made ceiling that acts as a skin which gives different shapes to the light before it invades the space. The aim of the designers was to break any rules or ideas that make up the elements of the interior ad proceed with the creation of one element through a seamless border.